GReddy Engine Stroker Kit for the Scion FRS and Subaru BRZ provides stronger engine internals while running BOOST! Have you added boost to your FRS or BRZ? Supercharger? Turbo? Want to prevent blowing up your engine, or punching a hole in your block? Then this GReddy stroker kit is CRUCIAL to Engine strengthening for safety and reliability of FR-S and BRZ over the 350hp mark. 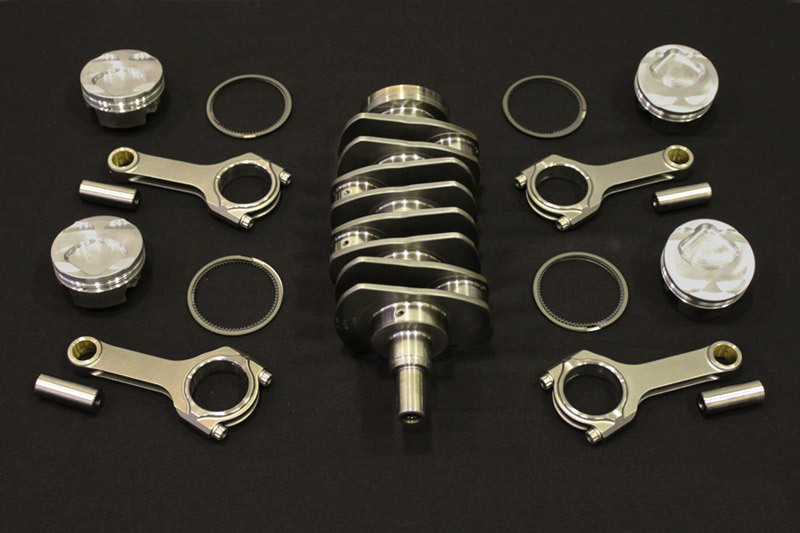 GReddy engineers have drawn from ther FR-S race experience to assemble a complete stroker kit for the FA20/4U-GSE boxer engine, using only top of the line components. 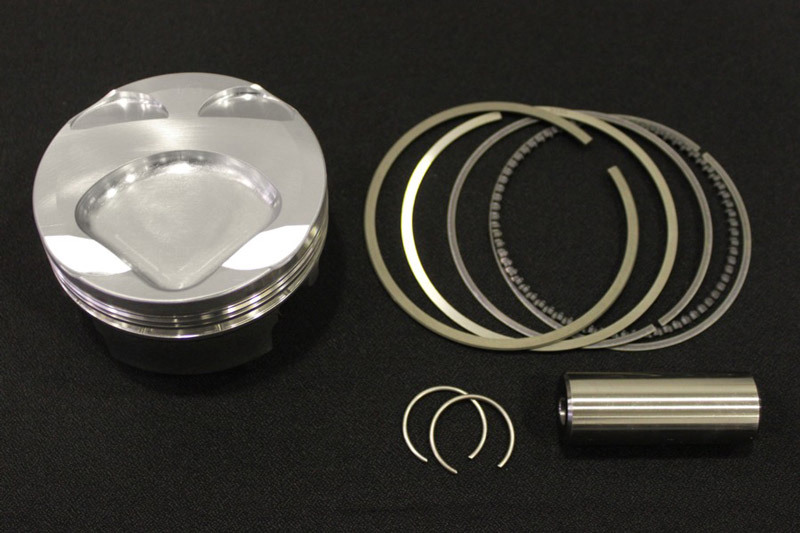 The kit features 9.5:1, 86mm bore. 2618 T6 forged aluminum pistons with specially designed shape ideal for high boost applications. 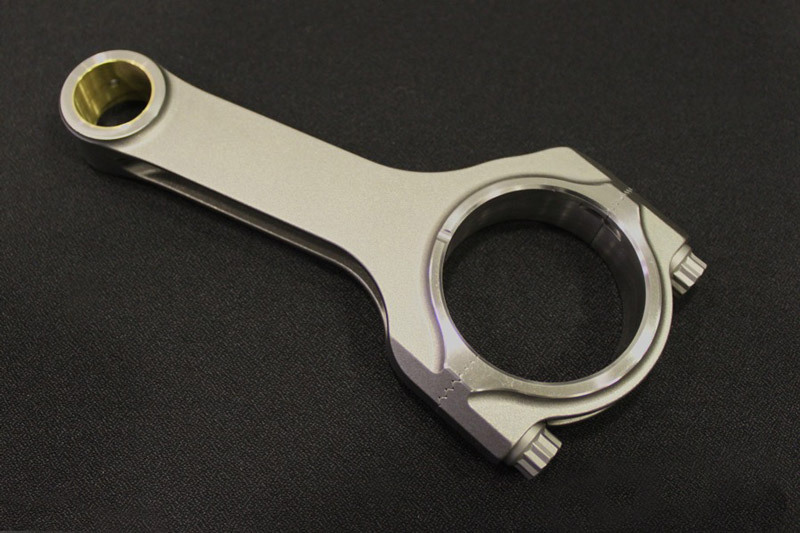 This is connected to extra strong H-beam 433OM steel alloy forged connecting rods with a factory style 18deg. split line. 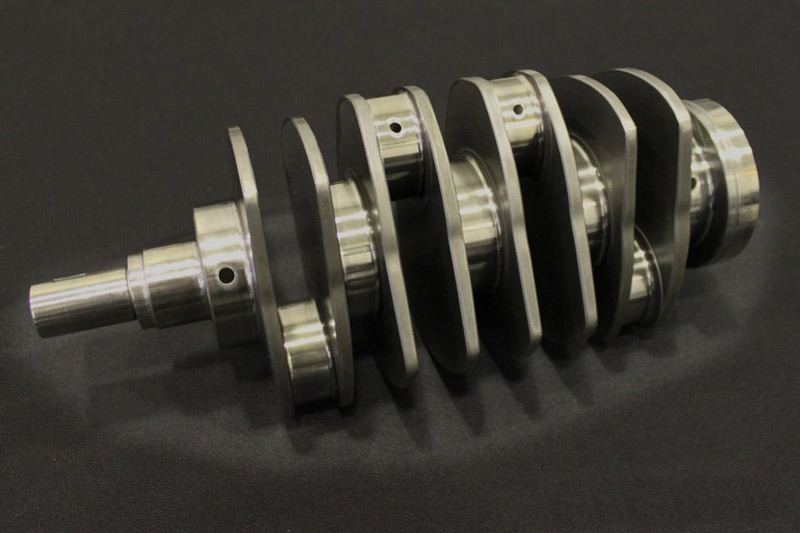 And at the heart of the 2.1L kit is a dynamic balanced, E4340 Cr-Ni-Mo alloy billet steel stroker crankshaft.